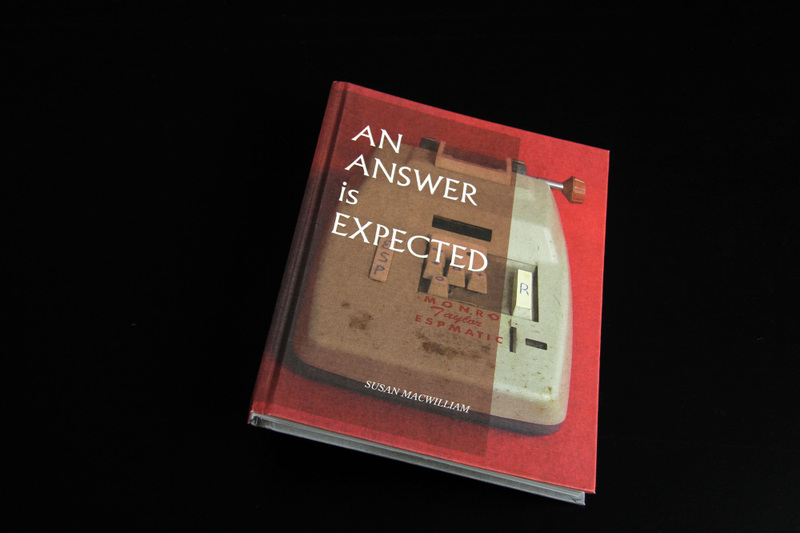 transcript of MacWilliam’s film AN ANSWER IS EXPECTED (2013). 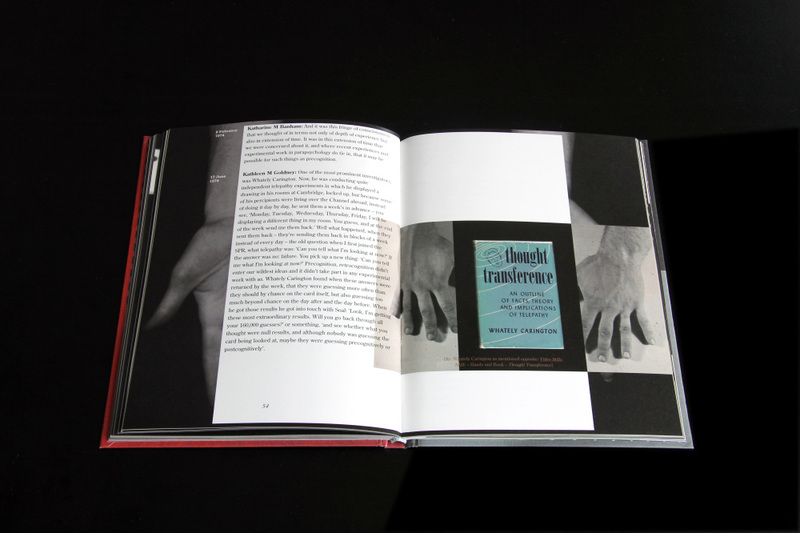 An exploration through film, sculpture and installation of the historic extra-sensory perception and telepathy investigations of parapsychologist Dr J B Rhine conducted at Duke University from the 1930s onward. 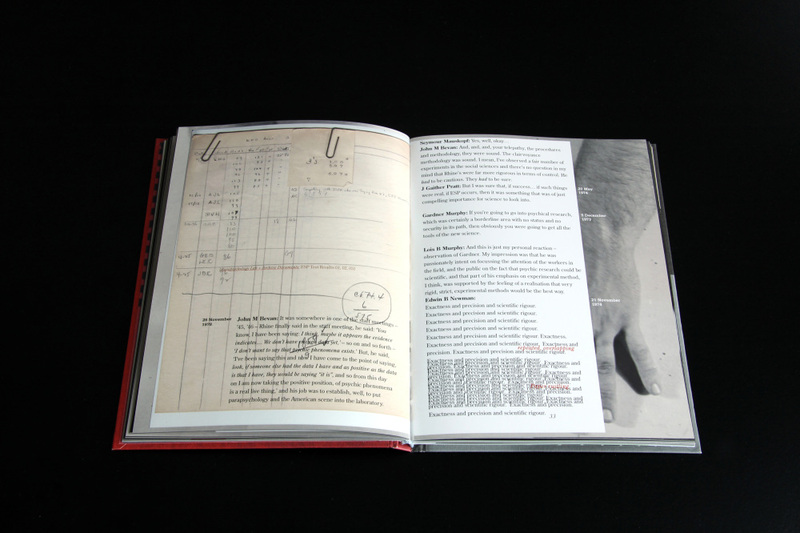 The researcher’s quest for answers and their attempts to gain visible and tangible proof through experimental testing and repetition fascinate Susan MacWilliam. 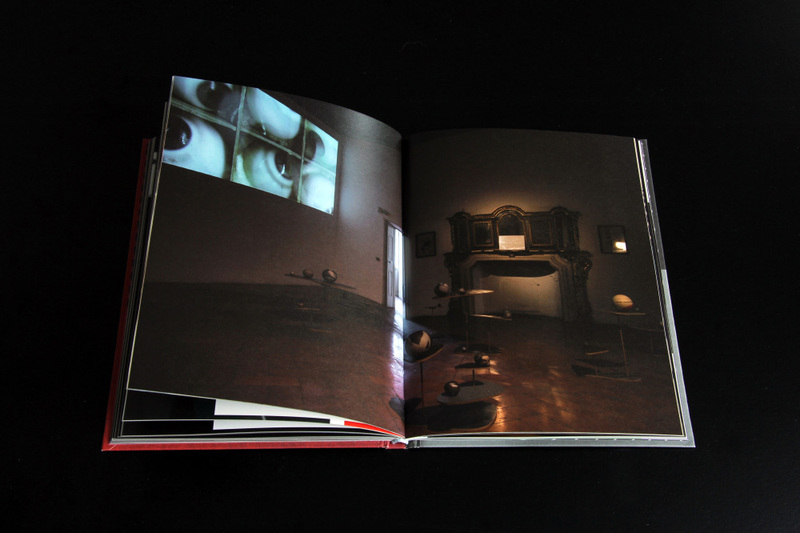 Her videos, photographic works, sculptures and installations investigate obscure and overlooked histories; and reflect on the research, experimental apparatus, and personalities of those involved in parapsychology and the study of perceptual phenomena. 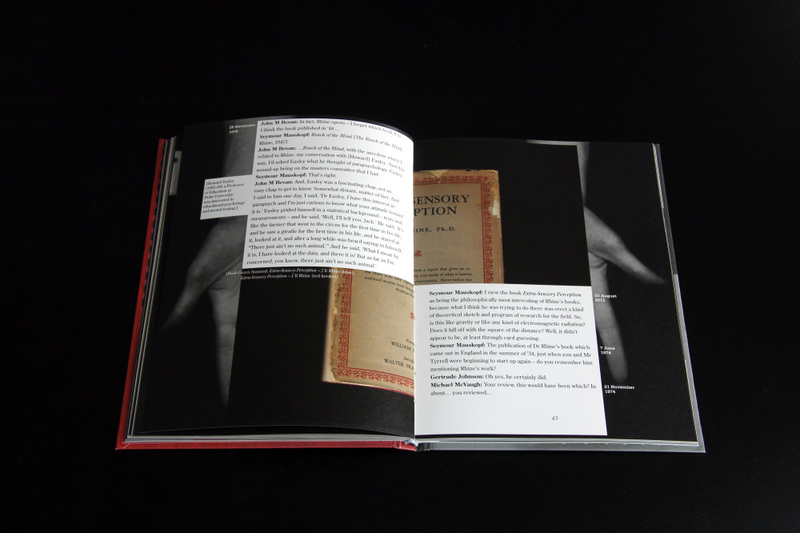 The images and narratives of the esoteric, the historic and the peripheral run through her work. 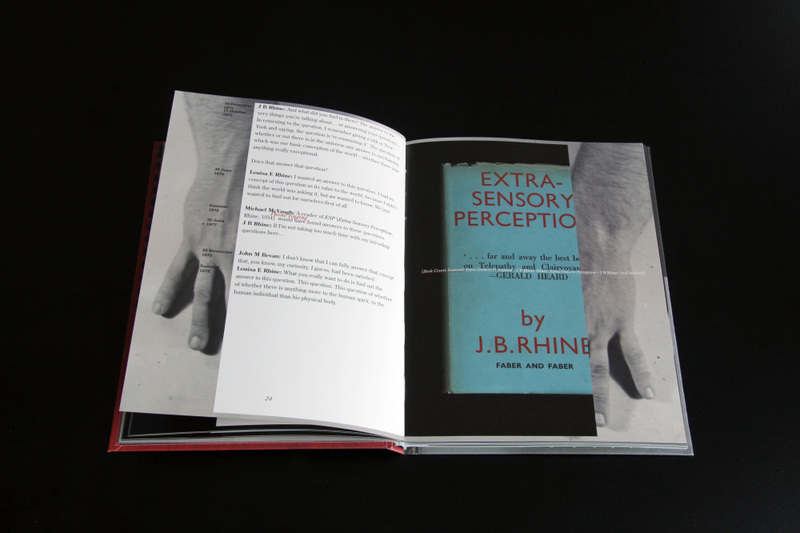 In the 1930s J B Rhine (1895–1980) began testing for telepathy and extra-sensory perception through card matching experiments conducted at the Parapsychology Laboratory of Duke University. 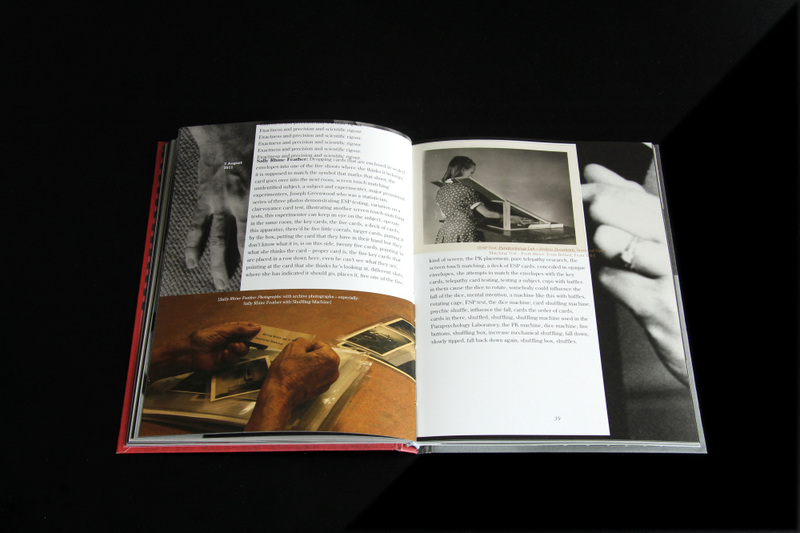 Rhine’s work soon became world-renowned. 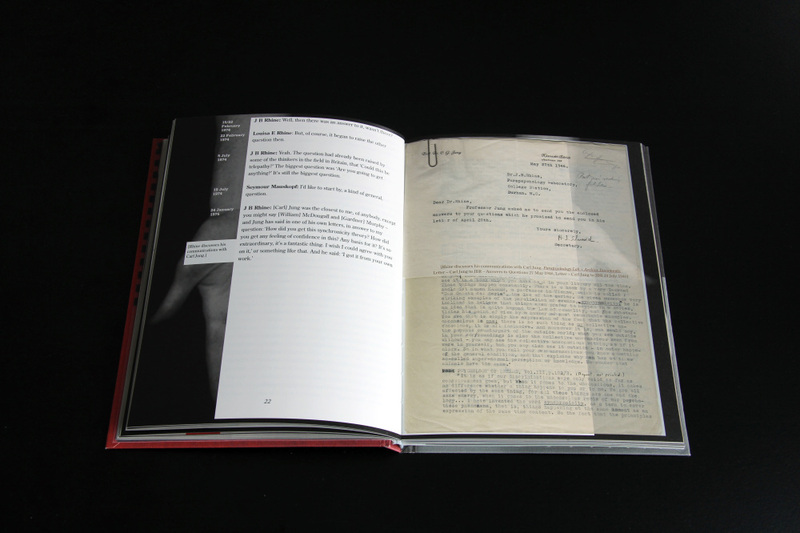 In 2011 MacWilliam worked with Rhine’s archives, finding amongst them a 1934 telegram sent on behalf of the Irish medium Eileen Garrett. 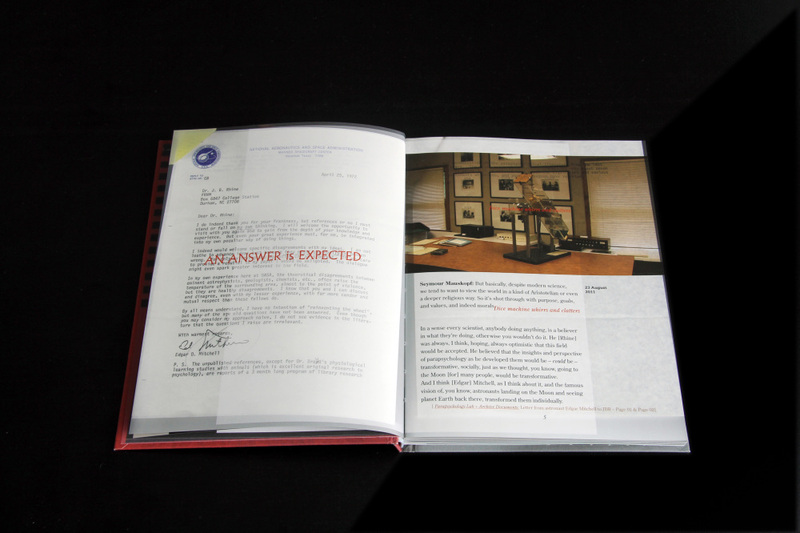 A label on the telegram, demanding ‘AN ANSWER IS EXPECTED BY THE SENDER OF THIS MESSAGE’, became the prompt for MacWilliam’s studio explorations. 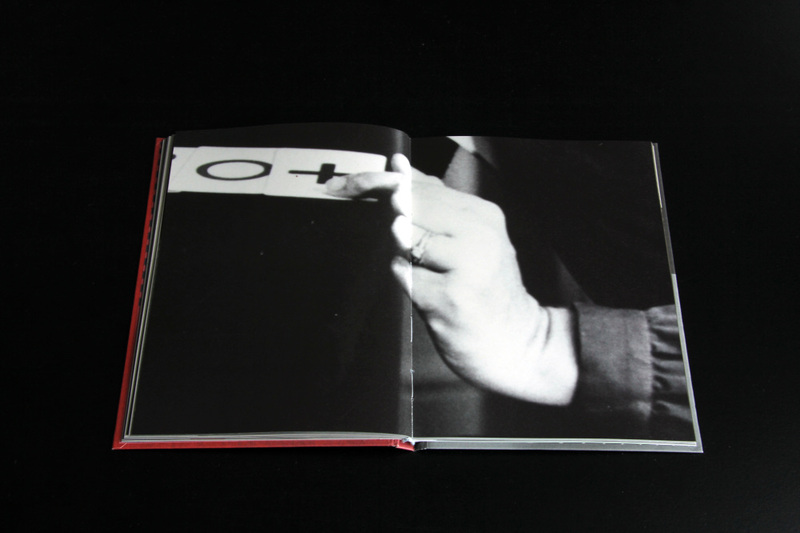 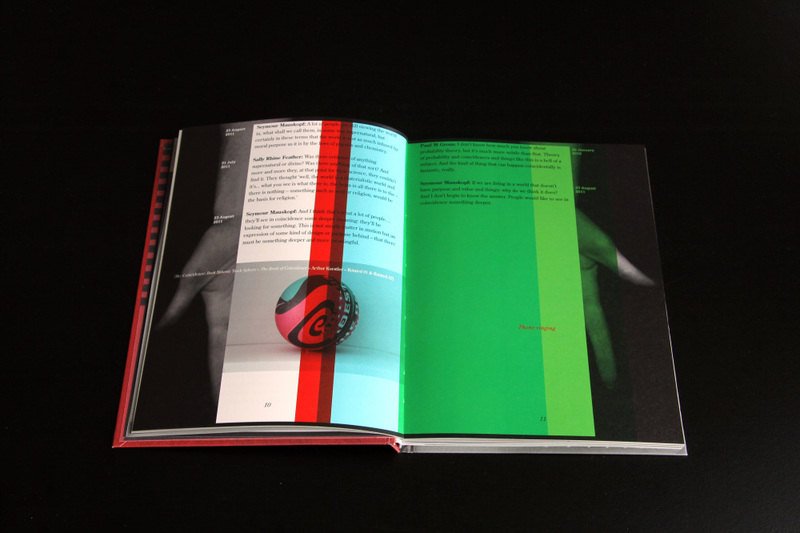 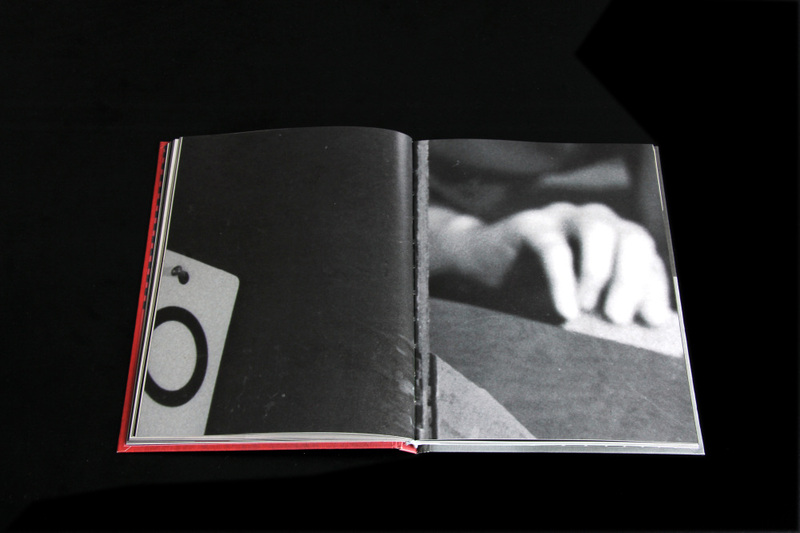 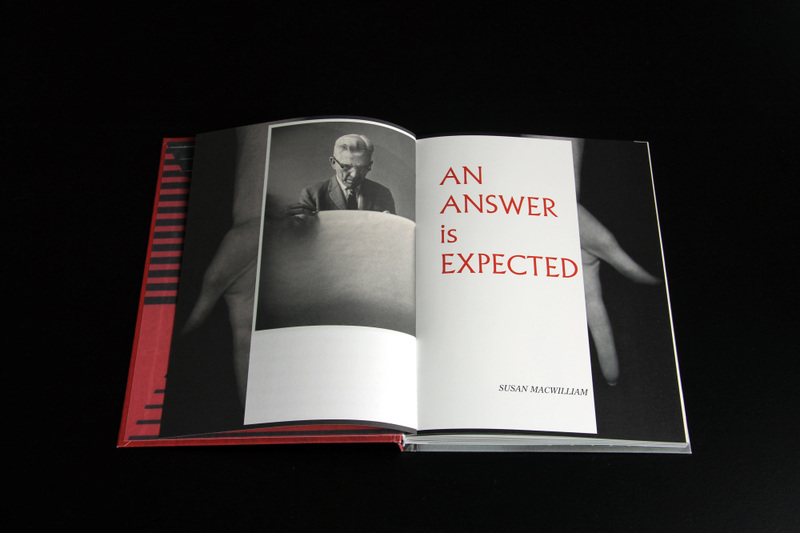 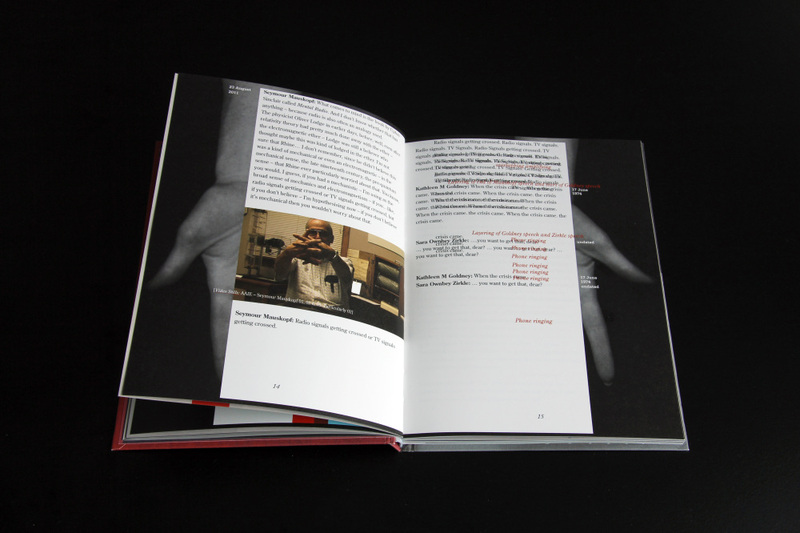 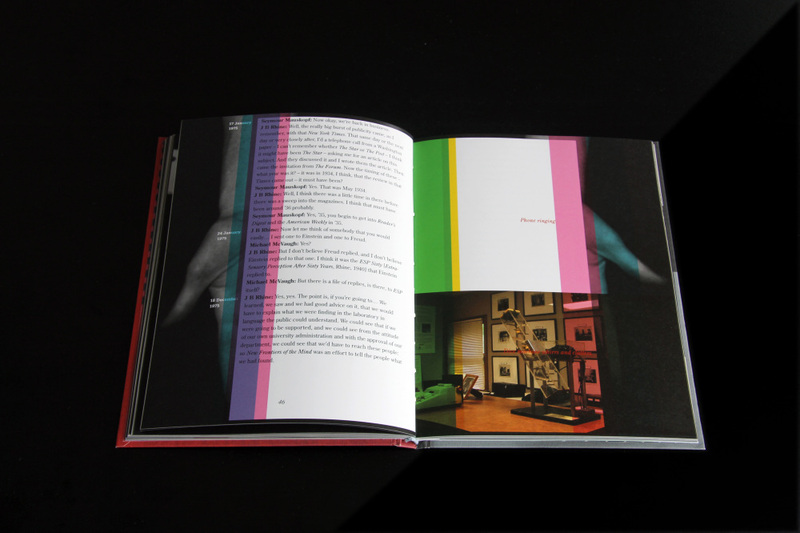 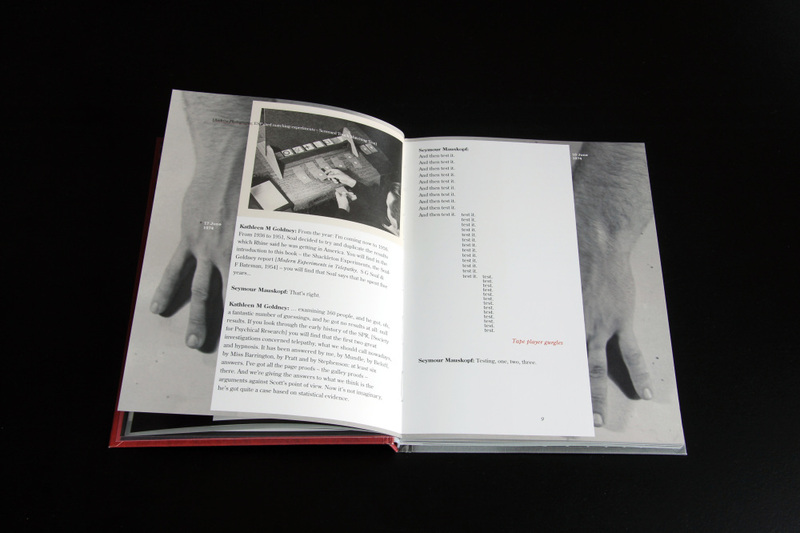 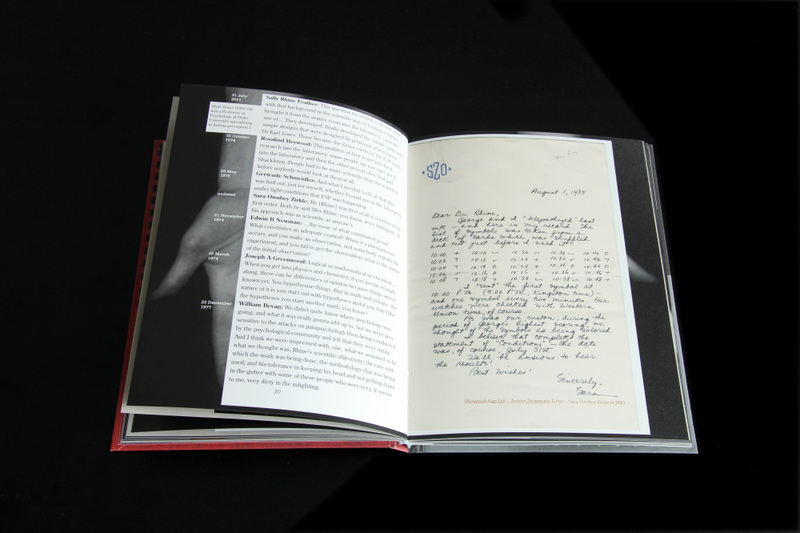 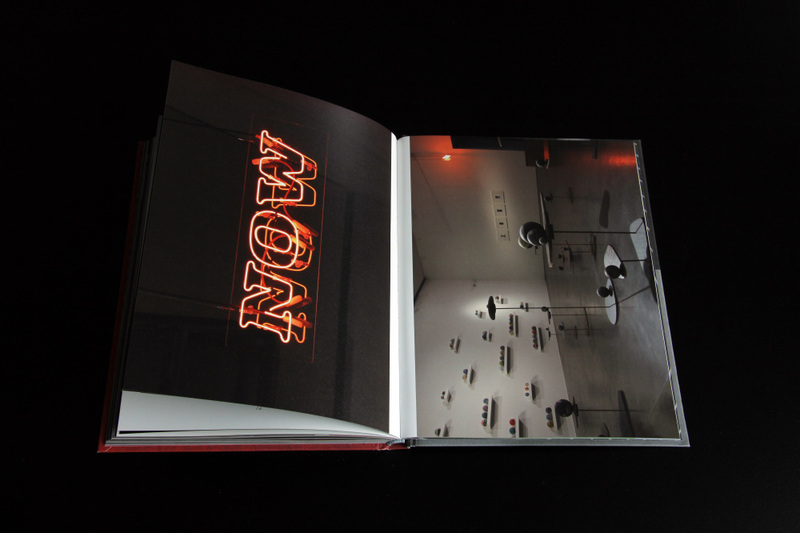 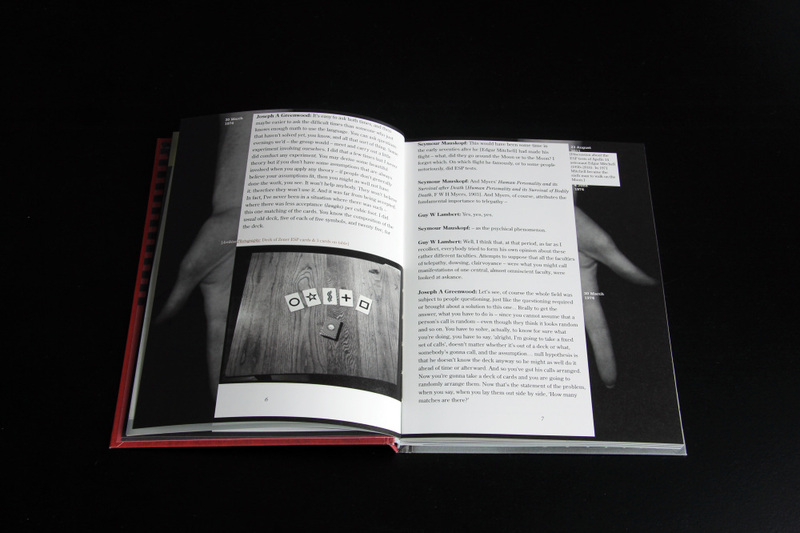 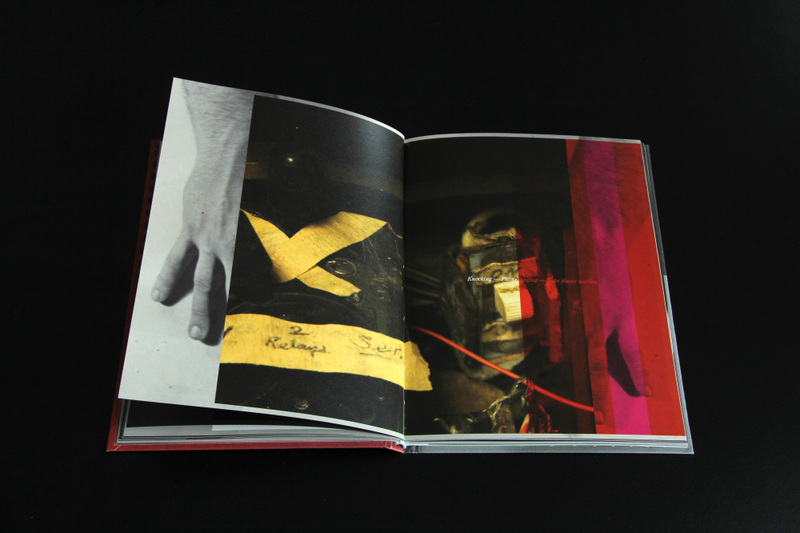 Published by QUAD, NN and CONNERSMITH this book illustrates MacWilliam’s body of work AN ANSWER IS EXPECTED (2013–14), and features archive photographs and documents, alongside a transcript of MacWilliam’s film AN ANSWER IS EXPECTED (2013). 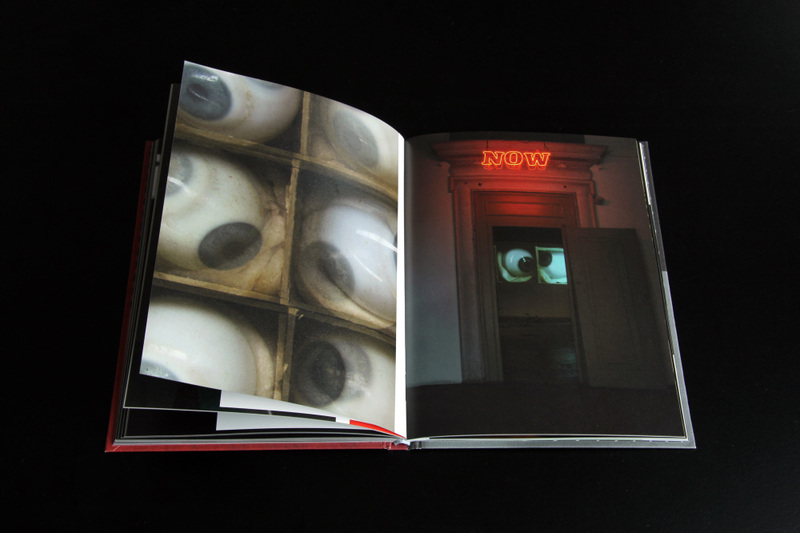 AN ANSWER IS EXPECTED is an exploration through film, sculpture and installation of the historic extra-sensory perception and telepathy investigations of parapsychologist Dr J B Rhine conducted at Duke University from the 1930s onward. 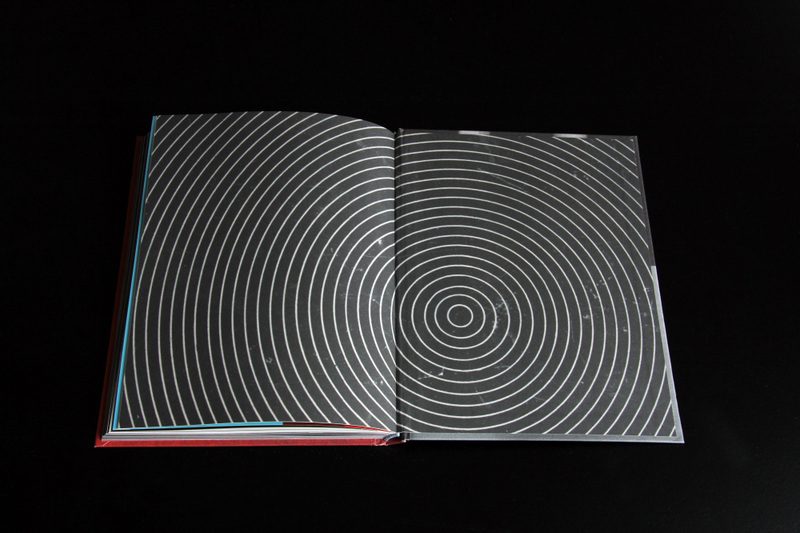 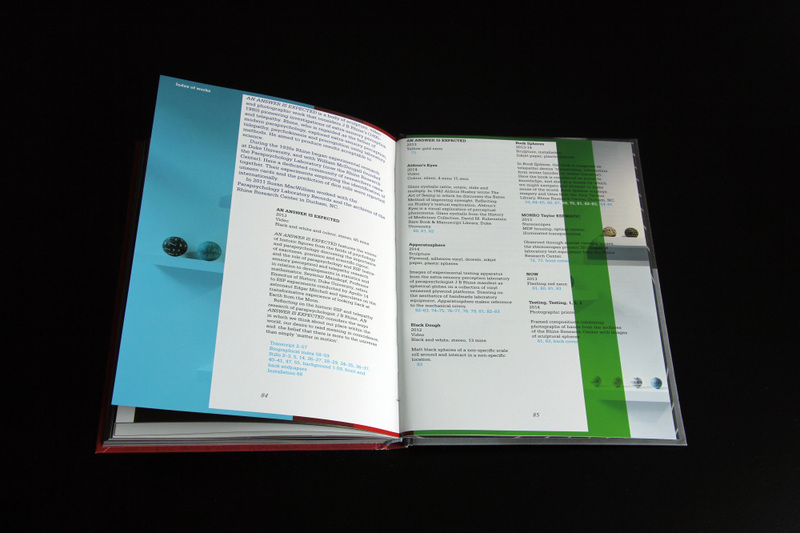 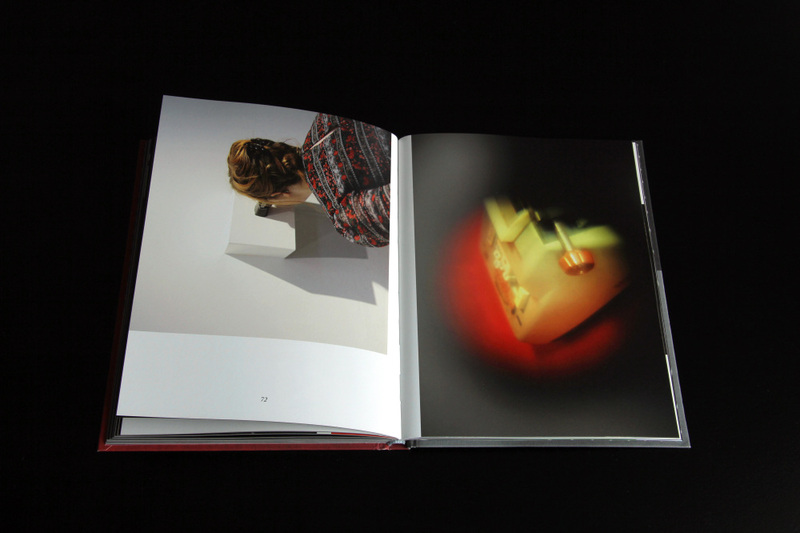 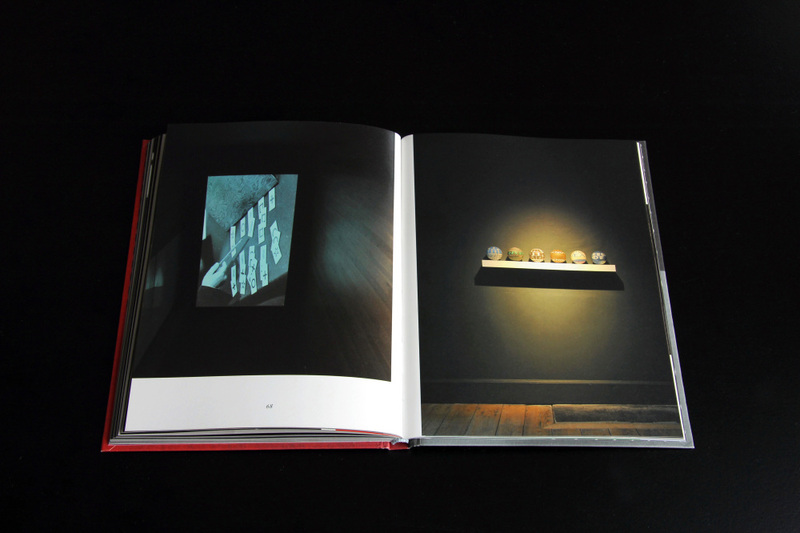 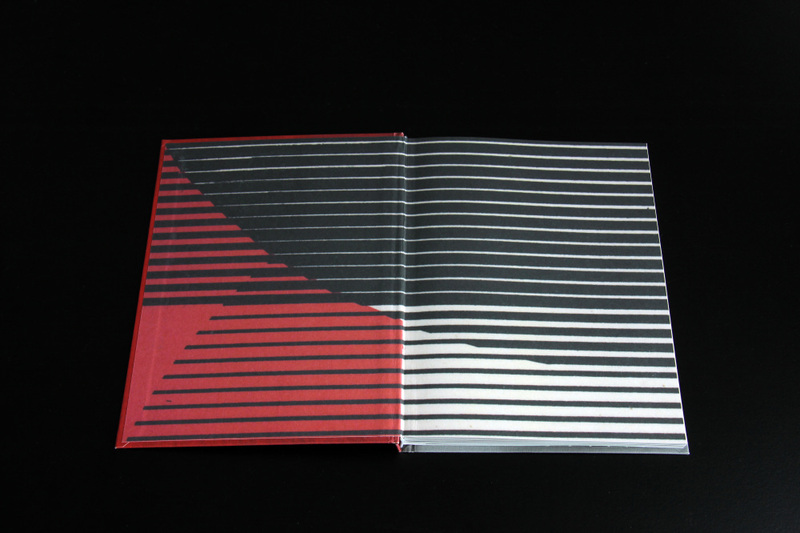 Susan MacWilliam will be in conversation with Peter Maybury about the making of the book, AN ANSWER is EXPECTED. 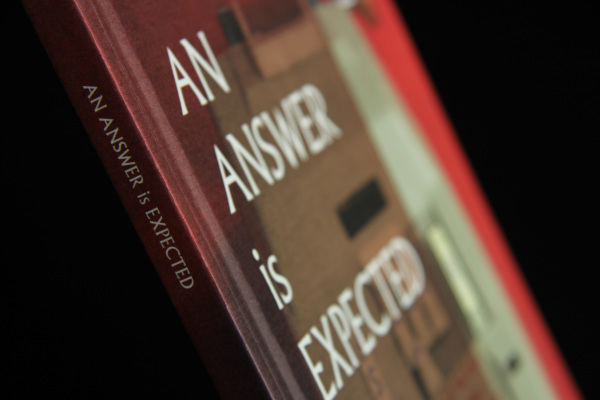 Following their discussion MacWilliam’s 2013 film AN ANSWER IS EXPECTED will be screened in Studio 6. 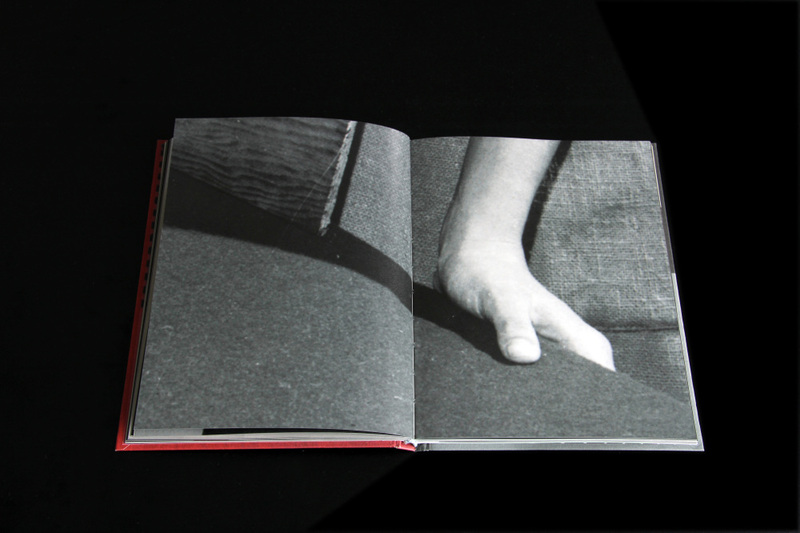 The audience is welcome to come in and out of the screening as they wish.